The Z-Bolt® ASTRO-10-XT is a special 515nm astronomy green laser pointer - scope mountable, use hands free. 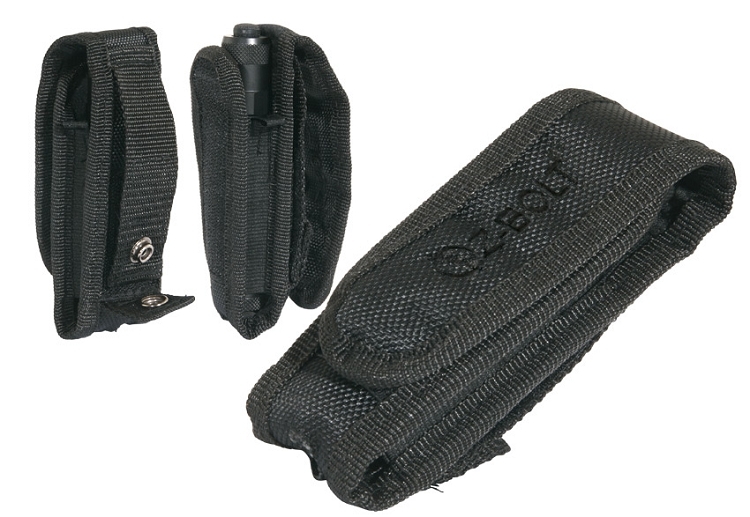 Low temp operate at 14°; constant on switch; nylon carry pouch; 6 hour CR123A battery life. 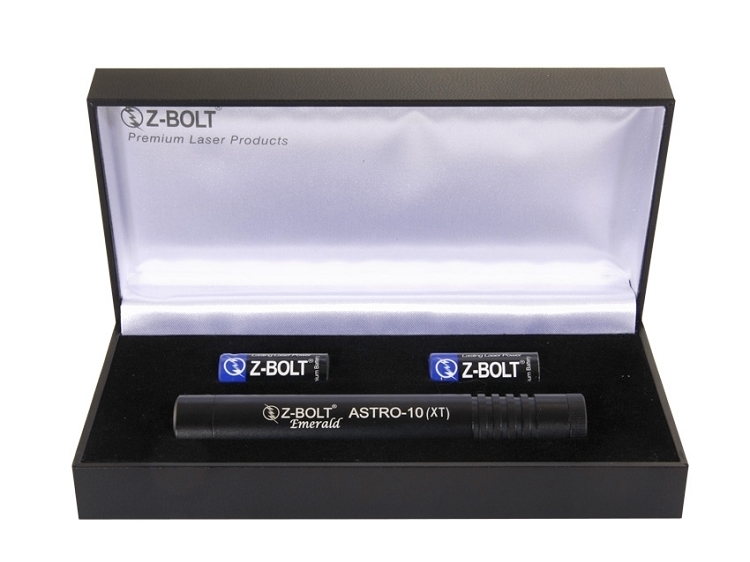 The Z-Bolt® ASTRO-10 (XT) astronomy green laser pointer is constructed of high quality anodized aluminum. This model includes new 515nm semiconductor laser technology! No IR Light Filter required. The XT version of the ASTRO-10 laser operates at extreme temperature ranges, 14° ~ 122° for cold weather astronomy use. 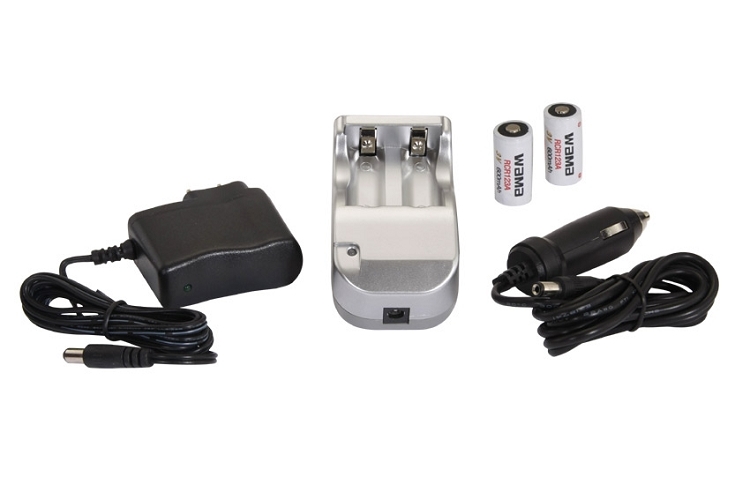 Ships in a satin lined carry & gift case; 2 pcs CR123A batteries; nylon belt carry pouch included. 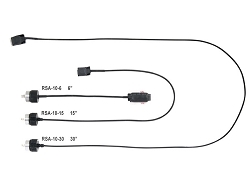 Redesigned constant on/off click switch; telescope mountable; visible beam & five (5) mile range (at night). Lithium battery powered for superior cold weather operation. The ASTRO-10 (XT) features guaranteed Z-Bolt® Certified Power for the brightest possible daylight dot; most visible nighttime beam. 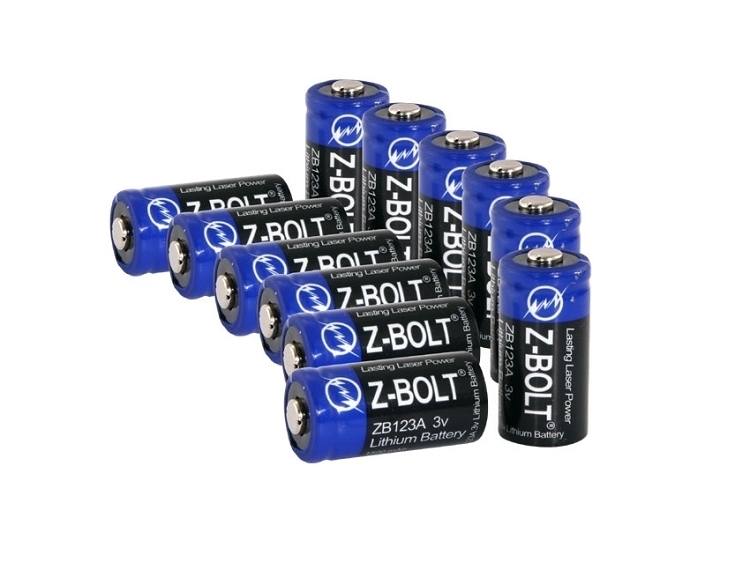 Each Z-Bolt® Certified Power green laser pointer is factory tuned & calibrated, then tested & certified on a laser power meter - all tested units ship with a Laser Power Output Certificate. 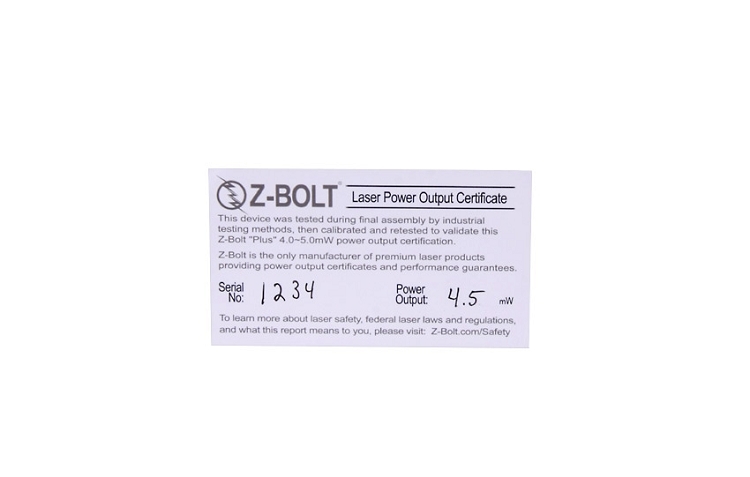 Only premium Z-Bolt® Certified lasers are rated at 4.0 to 5.0 mW power output and are 2 to 3 times brighter than standard Class IIIa units.